Black Sabbath. Black Crowes. Black Kids. Vincent Black Shadow. Black Stone Cherry. Black Light Burns. Black Angels. Black Mountain. Black Lips. Black Tide. Black Rebel Motorcycle Club. Frank Black. Black Ritual. There are so many bands out today with the word "black" in the title that it becomes dizzying. When a co-worker approached me not long ago and asked if I had heard of The Black Keys, my first thought was "Black Kids ... I reviewed their latest album." Of course this was after a discussion of JJ Grey & Mofro, so I was curious how he was tying the two together. "They both have that dirty blues sound in their music ..." I immediately knew he wasn't talking about Black Kids' style of indie rock. He was talking about The Black Keys and handed me two albums to check out. As the drawer slowly slid into the CD player I thought, "Yeah, I get handed tons of CDs that people think are awesome and they usually end up being crap, but I'll give them a chance." As the first bit of distortion rang out and a riff exploded like something out of Hendrix's catalog, I immediately recognized something different in the band's music -- simple, but with a helluva groove to it; bluesy rock; raspy, sweaty vocals. As the tracks to the band's 2006 CD Magic Potion went on, I immediately went online to see if I could find The Black Keys playing anywhere in the state. One show in Asheville was all I came up with. I had to settle down and think a minute. Maybe it's the initial surprise by the sound and the band wasn't as good as I thought. I gave it a moment to sink in, turned the CD off and went about my work. A little while later, I found myself thinking, "Damn, that band's rhythm ... the riffs ... I need to hear more!" I cranked the CD back up and began some research on the group. It sure sounds like they've got more than two people in the band, for starters. I also expected a singer that was closer to BB King than Bill Gates in appearance. They've got a stripped down sound a la The White Stripes, but the drum beats are a little heavier and complex and the guitar's a bit more raw. Some history on The Black Keys -- the band is comprised of singer/guitarist Dan Auerbach, 29, and drummer Patrick Carney, 28. 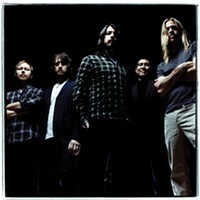 They formed in 2001 in Akron, Ohio, and have released seven albums. The other CD I got from my co-worker, 2002's The Big Come Up, dropped into the player. Sure enough, the band had always sounded this good. Why hadn't I heard of them before? Probably because I rifle through dozens of discs on a weekly basis and some catch my ear and some don't. And if you're wondering, yes, I truly do listen to each and every disc that hits my desk. I'll admit that I don't often listen to the whole thing, but I will always give a band a couple tracks to show me what they've got. But I'm sure if a CD by The Black Keys ever hit my desk, I would have taken notice. So, I got my hands on a copy of the duo's latest, Attack & Release, which was released on April 1, 2008. I noticed it was released on Nonesuch Records -- a little surprising that some major label hadn't scooped them up, but not completely a shock given the current state of the music industry. The first notes of "All You Ever Wanted" started and I heard a little more depth to the sound. The band decided to add some more instruments to the mix -- organ, moog and banjo among them. That's not to say the duo has lost its signature sound, only added a little bit to it. They also collaborated with Danger Mouse -- Gnarls Barkley -- for work on the new album. The result is a fantastic disc that might just wind up on my "Best of 2008" list. 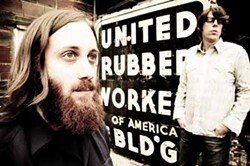 The Black Keys will also release a live DVD on Nov. 18 simply titled, The Black Keys Live at the Crystal Ballroom. Along with the 17-song concert performance, the DVD will also include music videos and footage from the making of Attack & Release. YA HEARD? : It just goes to show you never know what someone might recommend or what you might discover by accident. 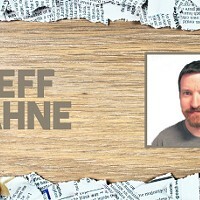 From time to time in this column, I'll bring back the "Ya heard?" idea to share bands I hear by accident, bands I recently discover during a live show, bands that "knock my socks off" or bands you should check out -- Pay it forward, so to speak. There are plenty of them out there and there's no way I've heard them all. Should we be glad we can't see the big DNC performers?